Looking for astrology reports? Cafe Astrology is primarily dedicated to offering free, informative, and diverse articles. However, we offer some services and products at low prices. Below is a list of these products and services. All computer reports are delivered via email attachments within 24 hours of order placement. These computer reports are high-quality and low-priced. See also Free Astrology Reports below. See also our new shop interface. ** See ALL REPORTS for order in handy list format here. Our star report, the Romantic Compatibility Report, examines a romantic relationship from a variety of angles. What is the nature of your attraction? How do you relate to each other? Which of your personality traits are compatible, and which clash? What are the specific dynamics of your chemistry together? What is the destiny or outcome of your relationship? This report explores all of these issues and more, offering interesting and helpful insight into the personal dynamics of a love relationship. $6.95. We also offer Couples reports. The new Composite Couples report explores the composite chart. The Couples Report offers a comprehensive look at the composite chart, the chart of a relationship, and includes a forecast based on the composite chart. The Star*Mate Couples report examines the composite (combined) chart of two people, and includes Chiron, Eros, Psyche, and more. Scores in different categories, such as Longevity and Romantic Attraction, are included. We also offer a Relationship Report Package for Unknown Birth Times. You can also use our new shop interface here: Compatibility Reports. Life Trends examines the next two years through transits to your personal birth chart. It’s a well-written, insightful report that includes Chiron transits in addition to regular outer planet transits. $4.95. Personalized Horoscope Report Package examines the year ahead through transits of both inner and outer planets to the natal chart. $7.95. Sky Log offers a peek into what lies ahead for the next year. Progressions and transits are interpreted in this computerized report with text written by Steven Forrest. $5.95. Progressions offers a 2-year look at “where you are now” by interpreting the secondary progressions in your natal chart. $3.95. Love & Romance Forecast Report for one year. $6.95. See also our Birthday Forecast (Solar Return) reports for interpretations of the year ahead, below. We offer a variety of Birth Chart reports that explore the many facets of your character, including your challenges, strengths, and predispositions. We offer three different forecast reports based on the Solar Return chart. They can also be called “Birthday Forecasts“. These reports identify the themes and potential circumstances of the year ahead, and they are very revealing. $4.95 each. What kind of lover are they? Is he romantic and tender, slapdash and freedom-loving, or a bit of both? What kind of woman is he most attracted to? What are her fears in love? What are her biggest relationship challenges? These exclusive reports are written to help understand a man’s and a woman’s style in love, in relationship, and in bed. Through either the “About Him” or “About Her” report, you’ll learn their approach to love in general, what turns them on, what turns them off, the strengths they bring to a relationship, and the challenges they face in love. Each report is $6.95 with a birth time, or $4.95 without a birth time. The Friends Compatibility Report examines a platonic relationship from a variety of angles. What is the nature of your association? How do you relate to each other? Which of your personality traits are compatible, and which clash? What are the specific dynamics of your chemistry together? What is the destiny or outcome of your relationship? This report explores all of these issues and more, offering interesting and helpful insight into the personal dynamics of a friendship or other platonic relationship. $4.95 with birth times; $3.95 without birth times. The Karmic Insight Report offers an esoteric or karmic point of view on your natal chart. Focus is on the lessons and karmic implications of your Moon, Sun, Ascendant, and Saturn, as well as the strengths and weaknesses revealed in hard and easy aspects. Highly recommended. $5.95. The Soul Scope and Soul Guide Reports offer growth-oriented interpretations of your birth chart. The Soul Scope interprets the birth chart with growth and improvement in mind. $5.95. The Soul Guide for One Year interprets outer planet transits to the birth chart for the year ahead. $4.95. Astrology Profile for Women is our most recommended report for women, and is based on your personal natal chart. It is easy to digest, yet extremely detailed, and filled with important insights into your character. An excellent tool for understanding and fulfillment. $5.95. Your Spiritual Path gives you a look inside. It provides an unbiased perspective on the characteristics that define who you are on a spiritual level. More importantly, it gives you a clear understanding of how you can best nurture and develop those characteristics that enhance your progress towards spiritual maturity. $4.95. This computerized report uses an ancient Vedic Astrology system of compatibility for an analysis of romantic relationships, with modern interpretations. Specific criteria must be met in order to score in different categories, such as “Wavelength”, “Respect”, and “Comfort”. $4.00. This suite of reports is ideal for the student of astrology with an eye on the future. It includes colorful and informative reports for the year and months to come, including personalized calendars, monthly highlights, and more. $16.00. For students of astrology who want to explore the meanings of midpoints in their natal charts, the Midpoints Report includes lists of midpoint pictures, and interpretations of both natal midpoints and activated midpoints for the next 6 months. $7.95. The Career Report is a comprehensive look at the natal chart in terms of vocational aptitudes and career high and low cycles. The Vocation Report interprets the Lunar Nodes, Sun and Moon, angular planets, the Ascendant, and the second, sixth, and tenth houses in terms of vocational aptitudes, talents, and attitudes. This amazing report is designed as a guide to a child’s personality for parents or caregivers, but many adults will like it too! This unique reading incorporates Sun-Moon combinations as well as Moon-Ascendant combinations. For example, if you have the Moon in Aries and a Pisces Ascendant, this combination is delineated, along with most other factors in the birth chart (planets in signs and houses, planets in aspects, and so forth). What kind of energies does a particular place in the world have in store for you? With the Horizons Relocation report, you can learn what relocation to any city in the world could do for you. This unique report explores the themes of the strongest midpoint combinations in a natal chart. $5.95. Iris Asteroids — Ceres, Pallas, Juno, Vesta, Astraea, Iris, Hygiea, Proserpina, Diana, Apollo, Bacchus, and Hephaistos. $5.95. Goddess Asteroids — Ceres, Pallas, Juno, Vesta, Hygieia, Ariadne, Europa, Pandora, Mnemosyne, Hecate, Cassandra, and Medea. $6.95. The Fixed Stars report interprets Fixed Stars aligned with planets and points in your chart. Written by Diana K. Rosenberg, this insightful report includes interpretations of each starset’s nature, physical and psychological manifestations, and examples of famous people who share the same Fixed Star alignments. Author and lecturer Diana K Rosenberg has been acclaimed as the world’s foremost authority on Fixed Stars. See ALL REPORTS for order in list form here. There are oodles of FREE sample Astrology reports on the Web, just waiting to be found. We’ve done the dirty work for you and compiled links to these reports, all on one handy page. Use this page to find Astrology reports about yourself, your relationships, daily horoscopes, and more. Enjoy! Astrodienst offers a free natal chart report. GeoVision Software offers free sample Vedic Astrology reports. You must first register with the site. Astrology 3D offers free short reports, including a Birth Chart Interpretation. You’ll likely find the interpretations particularly insightful, as we did. We offer a free Birth Chart Report on our site. Matrix Software offers a free sample Friends and Lovers report. Astrodienst offers a free short report all about a partnership. This is based on some of the aspects found in the composite chart of two people. Astrology 3D offers free short reports, including a Relationship Report. You’ll likely find the interpretations particularly insightful, as we did. 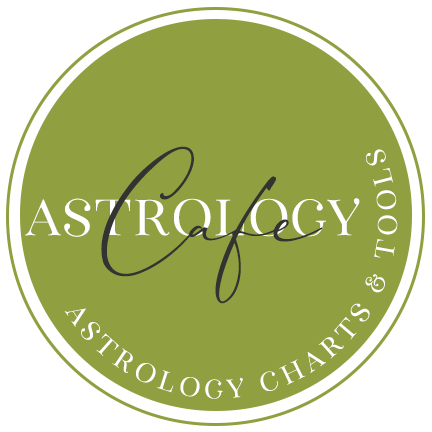 We offer a free short Compatibility Report here on Cafe Astrology. Astrodienst offers a free forecast report which interprets some of the transits that you will be facing in the near future. An excellent Planet Forecast is offered by StarIQ. You get e-mails of the transits to your chart a few days in advance. These are professional and fun–and they are free. Matrix Software offers a free sample AstroTalk Report, showing transits for yesterday, today, and tomorrow. We offer a free Transits Report here on Cafe Astrology. Looking for FREE Astrology Reports on the Web? Use our Ultimate Guide to Free Astrology Reports on the Web to quickly find them. Don’t have your chart yet? Find out how to get it online for free through our article, How to Obtain Your Natal Chart. Email addresses are kept private and never used for mailing lists, unless you formally subscribe to our email newsletter, in which case your email address is used solely for this purpose. We do not sell email address lists. Additionally, birth information submitted to us, whether through report orders or natal chart help, is only used for the intended purpose. Payments through the Paypal-powered shopping cart are safe, secure, and easy, allowing our readers to pay for reports and services instantly using their credit card, debit card, or e-check. We offer computerized astrology reports at low prices for a couple of reasons. Note that the quality of the reports are high, but we offer them at low prices because we want them to be accessible to our readers. Also, we are not set up to deliver reports instantly online. We manually process the reports and send them via email attachments. As such, buyers will wait a little longer, but they pay comparatively less for quality reports. Read the Report Order FAQ if you have any questions about making an order.